I have told you about the three-finger test of edge sharpness, developed by Murray Carter. Another way for testing the sharpness of an edge is with a Tomato, or some other fruit with a skin of some sort. Very simple process. 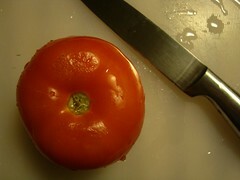 Very carefully, and with extremely little pressure, the edge of the knife is drawn across the peel of the tomato. If the edge punctures through the peel as the knife is drawn across, it has a sufficient edge, and the rest of the sharpening process can go on. If the edge just slides across the tomato, but does not cut, it must be taken back to the stone, and the primary edge worked on a little longer. This entry was posted in Uncategorized on April 29, 2013 by Captain Belaq. Throwing knives are knives designed, of course, specifically for being thrown. Throwing knives are normally used as self-defense knives hidden on the person, small and easy to whip out and throw at an attacker. 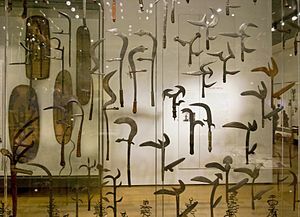 Besides this use, though, today the main purpose of throwing knives are for sport; competition and just fun practicing. I myself have a couple throwing knives, and they are incredibly fun, especially when it sticks point first. These knives normally do not have any handle material, other than the plain tang, as the knife maker does not want to fashion a brilliant deep brown walnut handle, just to have it knocked off when the throwing knife bounces off a target. the handle changes to the blade. When throwing a knife, one of the most vital things is distance from a target. The knife has to make full revolutions to hit point first. For example, you throw a knife from five paces (holding the handle) and it may have only enough space between your arm and the target to make two and a half revolutions, which would mean the knife would hit pommel first. Taking a step back from the target would give enough room for 3 whole revolutions, which means the knife lands point first into the target. A step forward instead of back means room for 2 full revolutions, and thwack, that target is dead. 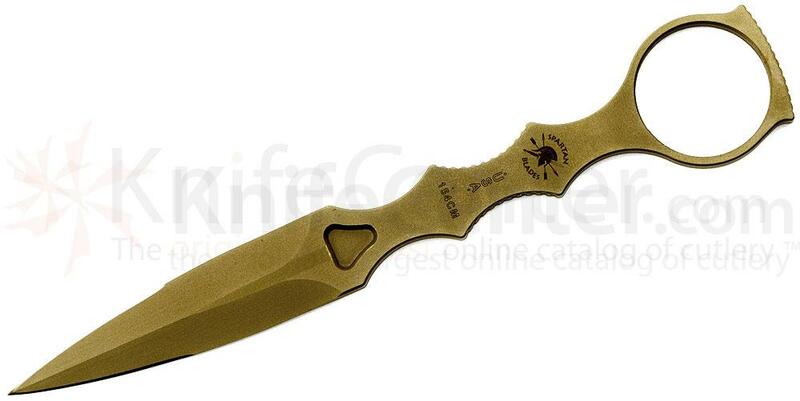 In a life-death situation, even if you hit pommel first, throwing knives have heavy metal handles, and the concussion would kill the attacker. For self-defense, other than a gun, a good knife would be the best way to go. Simple, useful in non-combat situations, and deadly. This entry was posted in Uncategorized on April 26, 2013 by Captain Belaq. First of all, I will need a good plate, or sort of a bin, in which the coals are to be held and the blades heated. Mom has metal barrels in which her ingredients come in for her lotion, so I previously took one of the empty barrels and cut it in half. That will be for the outside, or hearth, of the forge. 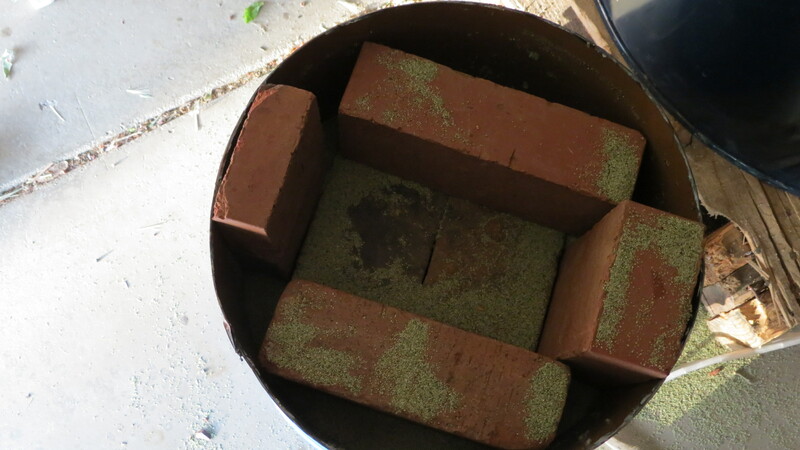 For the firepot, I’m gonna need something a lot thicker. 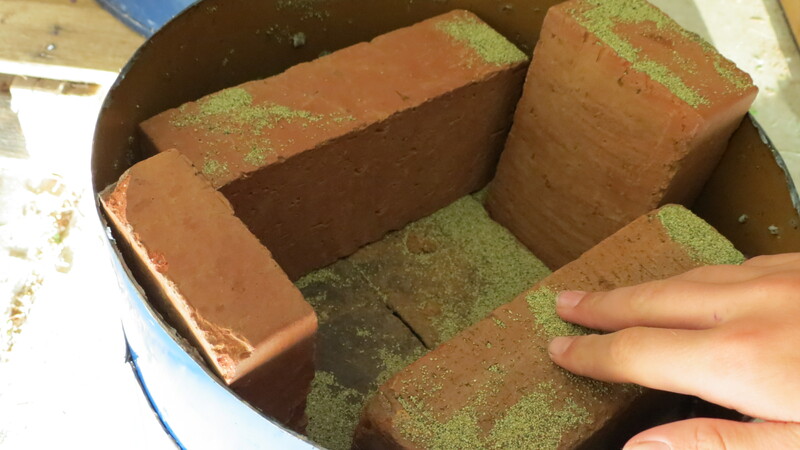 One way I could do it without the thicker metal, is have the hearth set in the ground, instead of standing up, as with the metal directly touching the earth, excess heat would dissipate faster, so no worries about the whole forge melting into sludge. So also, what I’ll need is a an air source, which I have. Lucky ol’ me has one of ^these, so blowing air into the forge shouldn’t be a problem. 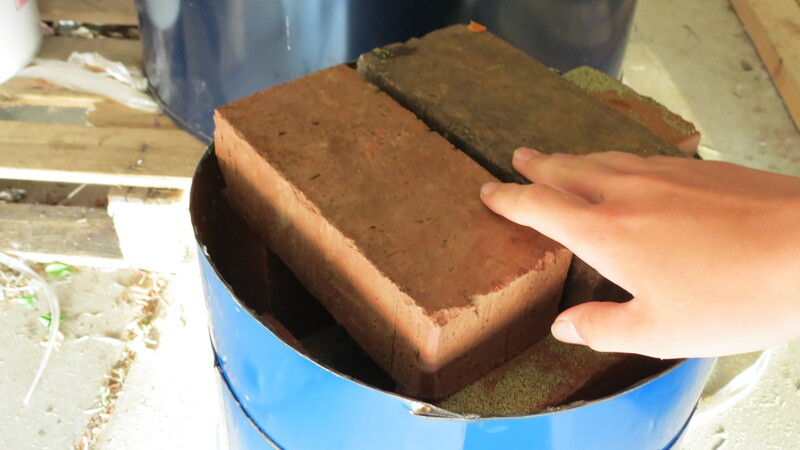 If I set the forge in the ground, it should be a simple matter of digging a small trench, in which to place the hose, which I could have either using a PVC pipe to channel the air, or just hook the hose up directly to the side of the half-barrel. If I have the forge standing up, I would hook up the air so it would be coming in through the bottom, usually a PVC pipe stuck in through the bottom, with the blowing end of the vacuum attached to the side of the pipe, so if any coals or ash fall down, they wouldn’t go directly into the good vacuum hose, but out through the other end of the PVC. Another thing I would need is an anvil. I really doubt I would be able to get an actual anvil, so the best options currently available to me would really be any flat, heavy, sturdy piece of metal, in which I could pound away at. A small, foot-long piece of railroad track would be perfect. We have a small junkyard about a mile away from here, so I can check it out there. So, those are the basic parts I need. 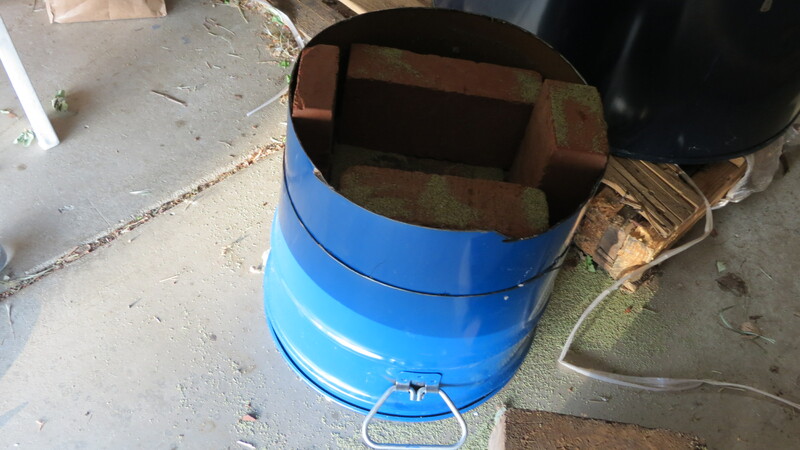 Hopefully, though, I can get a good, thick piece of metal for the firepot; a brake drum would be perfect. That part would probably be the hardest to get. This entry was posted in Uncategorized on April 22, 2013 by Captain Belaq. There are many devices out on the market that are designed for sharpening knives, through mechanical ways. 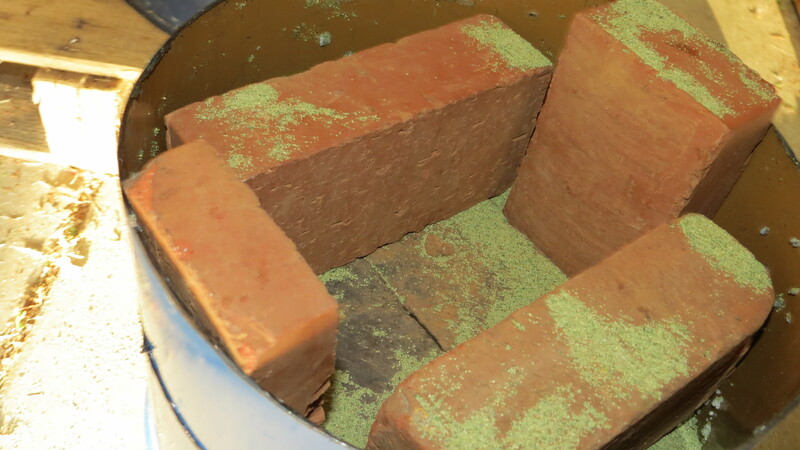 There are many types of these things, but though they may be as effective as using a stone, they are not at all better than using a plain old water or oil stone. Here are two main types of these devices, and I will explain why they are inferior to a stone. 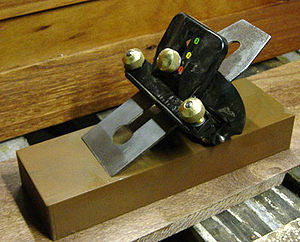 A sharpening jig is a device where the knife is clamped into the jig at a certain angle, and the whole thing is run over a stone. These are fairly common and popular with the general sharpening population. There are two main problems with this, and are present with most sharpening devices. First, and the most technical, is that the jig focus’ mainly on the primary edge of the knife, and grinds away only that, not the secondary edge (also known as the “grind”). This does not do much in the short run, but in the long run, every sharpening of the primary edge grinds a little further away from the edge, and so gradually, the blade gets smaller and smaller. If the whole blade is not thinned a little every time it is sharpened, then gradually the angle of the edge gets steeper and steeper, and this seriously effects the overall cutting. 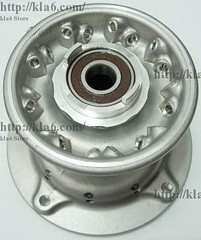 The second of a Jig’s problems, is not really a big problem for someone who wants to just occasionally give it an edge. 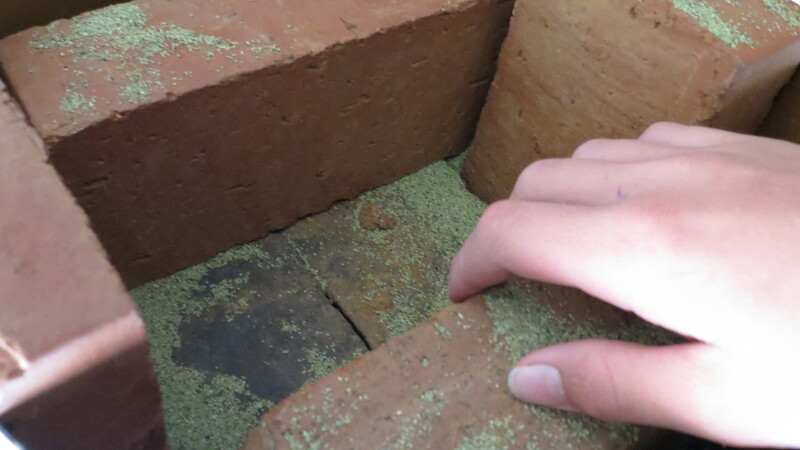 This problem, is that you do not get the experience with a jig that you would get with just a regular stone. 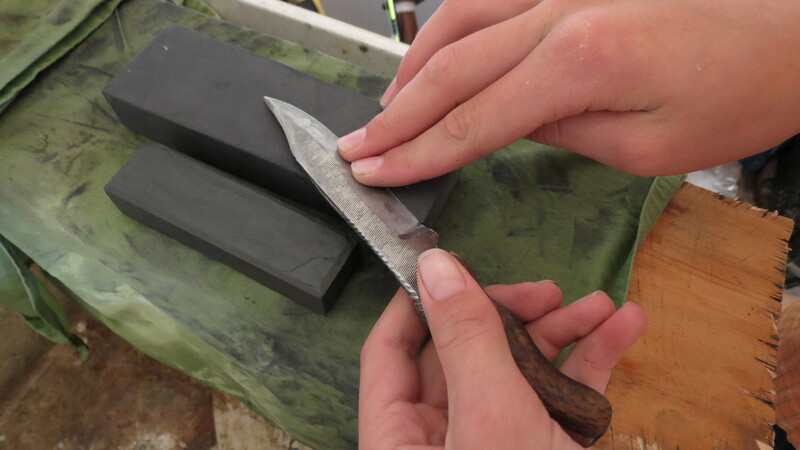 With just a stone, your hands get the feel of how much the stone grabs the metal, how much the metal will bend, etc., and just gives you an overall feel for the knife and it’s properties. This is a mechanical device, where you flip a little switch and the small grindstones start spinning, and all you do is draw the edge of the knife in between the little wheels, and it grinds away a bit of metal and sharpens the knife. This has the same two problems as the jig, but with an extra one thrown in. The wheels, when they grind away at the edge, make it concave, which wears away VERY quickly when the knife is put to use. This entry was posted in Uncategorized on April 18, 2013 by Captain Belaq. You know the main knife parts, but now it is time to delve deeper, specifically, into the point of a blade. The point is very important, it initiates the puncture, and must be the best hardened and tempered part of the blade; in a badly tempered blade, the point is always the first to crack or blunt. The Drop Point. This is where the back of the blade curves down gradually into the tip, so the blade is as thick as possible before it is thinned out into the tip. 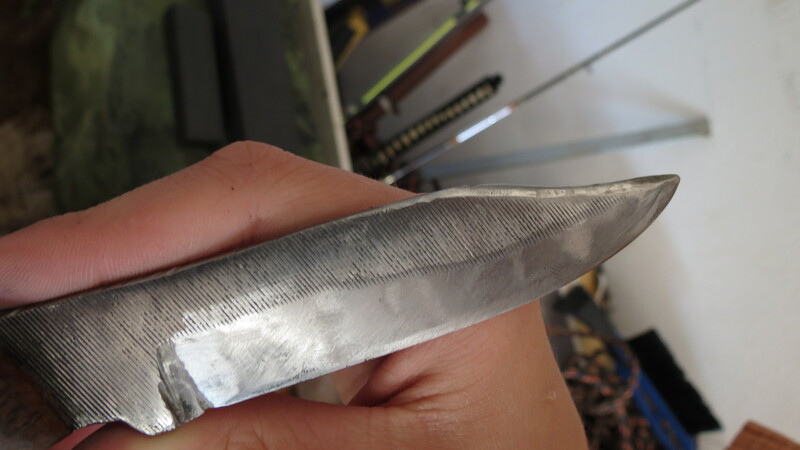 Normally, in this type of tip, the primary edge would curve up steeply into the point; this makes the whole blade very thick, and so is used almost exclusively in knives that are small, and have a risk of breaking. The Spear Point. 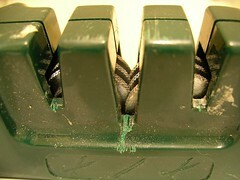 This is where both the top and the bottom of the blade, as they progress towards the tip, curve towards each other at the same rate, meaning the thickest part of the blade (the spine) actually goes through the center of the blade, not the top, and goes directly, without curving, from the hilt straight to tip. 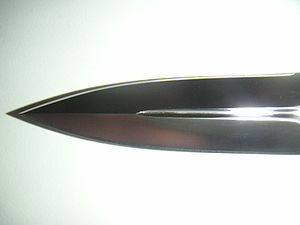 This type of point is used almost exclusively in double-edged knives, daggers, and swords. You can probably see why. 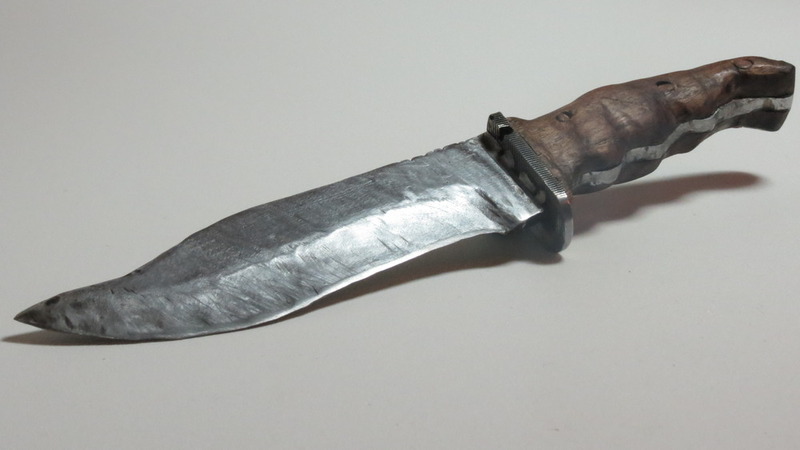 Some fancy knives have designs where they are made so the bottom edge is sharpened along the length of the blade, as usual, but then, only the forward half of the top edge is made sharp, similar this one. Now, onto the most common blade point. 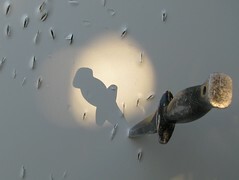 The Clip Point is the most common point; used in quite a few knives for style and looks. Mainly, though, it is used a lot in combat knives. 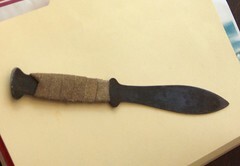 The reason this type of point is used, is when the knife is held in combat style, (i.e., the knife is held in the fist, point down, and edge facing away from the holder) when the knife is used to stab, the curve in the clip point helps the knife dig in the stabbing surface in the same motion in which the arm is moving, which makes it very easy to stab and withdraw quickly. This entry was posted in Uncategorized on April 16, 2013 by Captain Belaq. 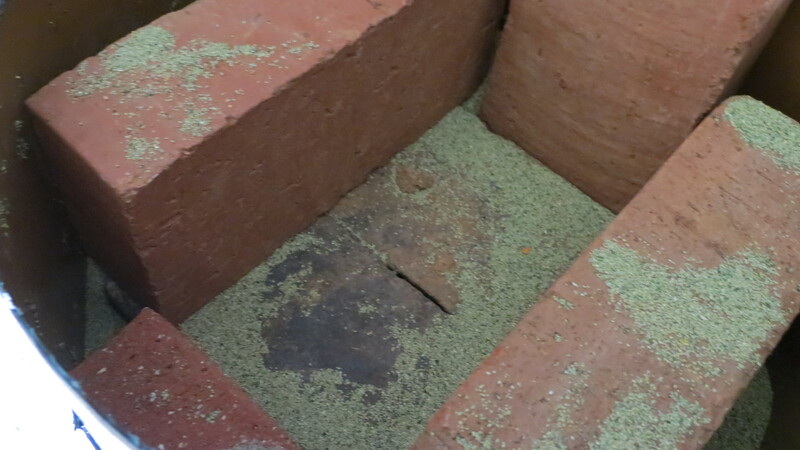 Here yo can see the secondary and primary edges, both of with I have been thinned out and ground. The position in which I grind my knives. I was, as usual, watching the sharpening video by Murray Carter. In this video, Carter showed how he did his setup at which he sharpens his knives. And so, I decided to try making my own setup in the garage. Along one side of our garage, there is a long workbench where I do all my “stuff”. In the corner of the garage, next to the workbench, there is a large sink, which I mainly use for cooling off red-hot metal, cleaning my hands (which I do VERY rarely while I’m in there) and other miscellaneous stuff. Because I needed a water source, I put up my sharpening setup there. What I did is I took a plank of wood and cut it in two pieces, one of them a little longer than the length of the sink, and the other, I cut to be just barely shorter than the sink’s length, just long enough to fit snugly without moving from side to side inside the sink. Then, I just screwed the two boards together, so that the ends of the larger board protruded a little farther than the ends of the smaller board. Fitting this in the sink, it was a perfect setup; the smaller board, inside the sink, produced enough friction on the edge of the sink to keep it from moving from side to side, and the larger board, the ends resting on top of the sink, kept them both from slipping down. 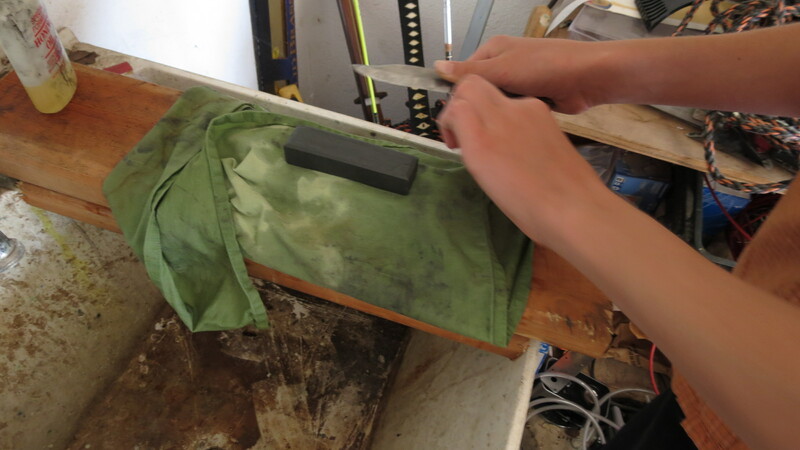 From there, all I had to do was lay a wet cloth on top of the boards and on top of the cloth, the sharpening stones (the wet cloth keeps the stones from sliding about whilst sharpening). 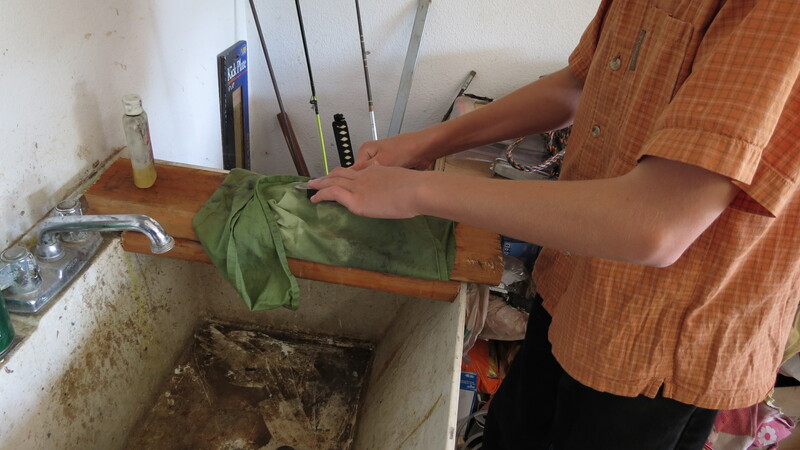 With the faucet right there, it is easy to clean off the knives, wet the cloth or stones, or just clean my hands (something I rarely do whilst working in the garage). This entry was posted in Uncategorized on April 12, 2013 by Captain Belaq.